If you are considering a wisdom teeth removal in Plano, call our office and schedule a consultation. Not everyone needs to have their wisdom teeth removed. If there is room in your mouth for this third set of molars and they grow in properly, you could continue to live with them without experiencing any irritation. However, most people do not have enough room, and they grow in impacted as a result. This can lead to discomfort while also creating space for food to become trapped. If your wisdom teeth hurt or the area is sore, you may need to have them extracted. If you have a gap in between your wisdom tooth and your back molar, this can become a space where food becomes trapped and plaque builds up. If you are constantly reaching for a toothpick to remove food from this area, you should consider an extraction. If your teeth appear to be shifting out of place, it could be because your wisdom teeth are pushing them forward. If you have already had braces to straighten and align your teeth, this is a risk you may not want to take. 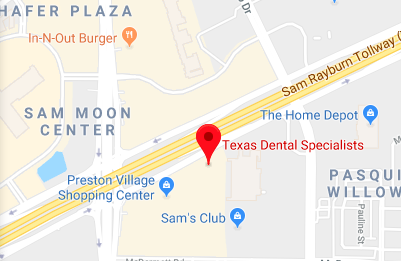 When you visit us for a wisdom teeth removal in Plano, we can examine your teeth and determine if they are moving due to your wisdom teeth or another issue like a tongue thrust or even oral cancer. When we complete a wisdom teeth removal, we have several ways of doing so. If the tooth has already started to grow in and is coming in straight, we can typically pull it out of the socket after giving you anesthesia. This is the fastest way to do so since it does not require oral surgery. If, however, your tooth is impacted or still under the surface, we will need to create a flap in the gum tissue that will be lifted up so we can access the tooth below. If there is any gum tissue or bone on top of the tooth, it will need to be cut away so we can reach the tooth and try to lift it out of the socket. There are times where this will not be enough to loosen it, and in this scenario, we will need to break the tooth into several pieces and remove them one at a time. Next, we will clean the area to ensure no debris remains and the area does not become infected. Afterward, we will lay the flap back down and suture it in place. This entire process is done using anesthesia so you do not experience any discomfort. Afterward, we will place gauze on the area to stop the bleeding. We also recommend you use an ice pack for 15 minutes at a time and take ibuprofen to reduce the swelling. You may experience discomfort for a few days, so be careful to continue icing and stick with foods that are soft and easy to eat. When you are about to undergo an extensive dental procedure or you have high levels of anxiety when it comes to visiting the dentist for any reason, you should get more details about our general anesthesia dentistry. Our office provides the best and safest routes of sedation should it be necessary for a procedure. Continue reading to learn more about how and when we use general anesthesia dentistry. Intravenous Anesthesia (I.V. ): This is a milder form of general anesthesia we provide in our office. We will administer the anesthetic medication through an intravenous line (I.V. line). This method will provide a quick route to falling asleep before a procedure. With I.V. sedation, we can determine the level of sleep we want our patients to have. As needed, you will be completely unaware during the procedure. Oxygen will be administered through a mask if needed in order to keep vital signs in a healthy range. I.V. anesthesia can be used in our office, so we use this option for wisdom teeth removal, dental implant placement, and other procedures that do not require extensive time and work. We can also use this form of anesthesia for patients who suffer severe anxiety. General Anesthesia: This form of our anesthesia is administered by an expert anesthesiologist who has studied in this field. We use general anesthesia for patients who are undergoing extensive oral procedures. This includes facial reconstruction and jawbone surgery. If patients have medical conditions like heart disease or lung disease, we may use this form of anesthesia. This type of sedation is monitored by a professional who will keep a close eye on vital signs. Many disabled adults and children require the use of a general anesthesia dentistry because it can be challenging to find a regular dentistry able to meet their needs. The elderly also visit our office for treatment, because many elderly people develop periodontal disease, wait to see a dentist until their dental health has declined significantly, or have become more anxious with age. As mentioned above, patients will health concerns may also require the use of anesthesia. Finally, those who have dental phobia may find it necessary to see a general anesthesia dentistry for treatment. When it regards your oral health, you should do whatever it takes to have your dental work completed before it gets out of hand and causes more issues. Many patients require the use of anesthesia just to get in the office for any number of treatments. If you need anesthesia to have an enjoyable dentist visit, don't feel embarrassed. It is much more common than many people realize. To learn more details about how we can provide you with the extra help you need in our general anesthesia dentistry, call or visit our office today. We can answer your questions and give you the dental care you require.